I monitor tweets that include a mention of QuickBooks. Since it is the beginning of the year, I’ve noticed a TON of tweets about how much people hate QuickBooks. I want to reach out, but I’m not sure I can be of assistance. QBCares does an amazing job reaching out and trying to help users out. Of course, if it is an accounting issue or helping cleanup the books, I can help. But just tweeting, “I hate QuickBooks” doesn’t give me much information and I reluctantly move on. I don’t want to invade someone’s life just when they felt the need to vent. I KNOW that feeling! If you hate QuickBooks, you are NOT alone. But, know that most of the time people hate QuickBooks because (1) You can’t figure out how to do something, (2) The software isn’t doing what you expect it to do, or (3) Something might be wrong with the software. Did you know there is a whole segment of accountants out there that still hates QuickBooks Online? Do you know why? Mostly because it acts differently than QuickBooks Desktop and that is what they are used to. I get it! Change is hard! But, you don’t hate your second child just because they don’t act the same way as the first child. You just learn to love them differently. I’m here to help if you need help with QuickBooks Online. In the meantime, deep breaths will get you through this. And, feel free to check out our site for some great information about QuickBooks Online. I am running QuickBooks Premier Edition 2015. As you know this version is no longer supported by QuickBooks. I don’t believe in replacing software that is working just because it isn’t supported. If I have an issue I will replace it. EXCEPT that almost immediately after not supporting my version of QB my software starts acting, well quirky. Yesterday I tried to add a new Sales Tax Code because of changes my made in the tax code. It caused my software to shut down – multiple times. I had issues when my last version of QB was no longer supported. My file became corrupt. I strongly suspect that QB creates issues for uses so that they are forced to update to the newest version. Much like when Apple slowed down old phones when they released a new one. This is a TERRIBLE sales tactic. I am currently searching for another accounting solution. Your prices are great, your product is okay, it is very user friendly but to corrupt files or create issues that force the purchase of new software is not ethical and an accounting software company should be ethical! I’ve used your products for approximately 15 years. I’ve only had these issues for the past two or three versions of QB. I knew when the new version was released that I would start having issues with my software that were serious enough to require me to purchase the newer version…turns out I was right. Melissa, thank you for your comment. 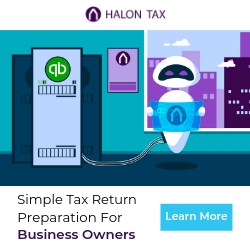 I just wanted to make it clear that we are not associated with Intuit. We just love QuickBooks Online and have created this site around that love. Have you ever considered converting to QuickBooks Online? Your credit card processing system is a hassle. We were not given all of the details, provisions, guidelines, or merchant agreement. We setup a credit card payments for our clients by their request, so they can pay us quicker. We received a noticed the funds were on the way and we will have them in two business days. In two business days we received a notice that we needed to provide documentation. We did. We were told it would be resolved in two business days. Two business days later we were told the amount was too high for a 30 day period and to reverse the transaction and then break it down into smaller transactions one to be made in each month. We did. We were told again our funds would be here in two business days. It has been two weeks and we only received one payment, but charged fees for all of them. We called and were told the other transactions have not been processed and we need to be reprocessed. 5 phone calls (41 minutes for one 35 minutes for another) and two weeks later it still has not been resolved. We were told specifically that we didn’t have to do anything more. All transactions were processed all ready and we would receive our funds in two business days. My last phone call I was told I made the mistake instead of them saying “Sorry, you were misinformed.” We are small business and can’t afford to wait this long to receive payments from our clients. 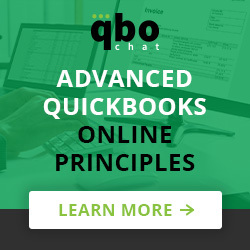 I think one of the reasons so many people get frustrated with QBO is that the people that typically use QBO are not CPA’s or even dedicated accountants. Just small business owner/operators that are trying to get things done. Wearers of many hats as it is. My biggest disappointment has been the QBO community forum. I’ve never managed to post a question because their user interface just won’t sallow them. The same innocuous “There was a problem…[blah] Try again later [as if the problem will magiclly go away. ]” If that whole system were a little less fitful a lot of folks could probably find quick answers. I completely understand what you are saying! The best bet is to have some sort of accountant or bookkeeper relationship so they can help you with things. As far as the “try again later” stuff, a lot of the time that has to do with your browser cache. You can clear all that and try again. Or, you can try using incognito mode. I actually have a profile in Chrome for when I use QuickBooks. That way, if I need to clear cache, I’m not clearing all the other sites I use. Years ago, I found that QuickBooks didn’t always play well with all the other cookies from other sites that were being stored in my browser. I hope that helps!! I’m sorry you had that experience. It sounds like you made the right choice for you. I’m not affiliated with QuickBooks, so I completely feel comfortable saying that it isn’t the best fit for everyone. I still love QuickBooks and it works well for my business and my clients. One recommendation on wherever you go is to work with an accountant or bookkeeper that specializes in the software to support you. For QuickBooks, they are called “ProAdvisors”. Instead of calling support, you call your accountant or bookkeeper. It won’t be free, but you also shouldn’t have to waste those many hours figuring out things won’t get fixed. At that point, your time is much more valuable working on your business in other ways. I wish you the best!